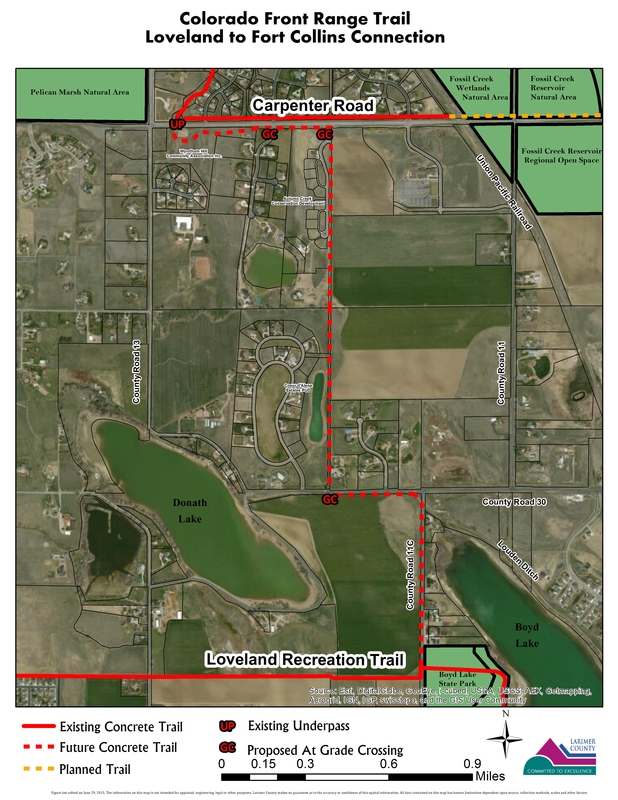 This section of the Colorado Front Range Trail connects Loveland's Recreation Trail near Boyd Lake State Park, to the Fort Collins Fossil Creek Trail. This Fort Collins connection is located at the Carpenter Road underpass at Stanton Creek (between Lemay and Timberline Roads). For more information please contact Suzanne Bassinger at 970-416-4340, or by email at c2Jhc3NpbmdlckBmY2dvdi5jb20=.